An unfortunate power unit failure on lap 25 took Nico Rosberg out of contention for the Formula One World Driver's Championship, giving Mercedes teammate Lewis Hamilton the win. The two teammates were neck-and-neck for the WDC title, even more so because of the double points Abu Dhabi Grand Prix. Things were looking good for Rosberg's chances at upsetting points leader Hamilton for the championship. Rosberg was fastest in practice and took pole for the race, but failed to get a good start off the line at the beginning, giving Hamilton the lead early. Perhaps the bogged down car was a sign of trouble to come for Nico. Rosberg's Energy Recovery System failed on lap 25, putting him at a 160-horsepower disadvantage to the properly functioning cars on the circuit. Watching the once-promising Rosberg trying to push the failing car around the circuit was painful. Nobody likes to see a competitor out because of a mechanical failure, especially when a race has the potential to be a balls-out battle for the win. Hamilton's job now was just to finish. 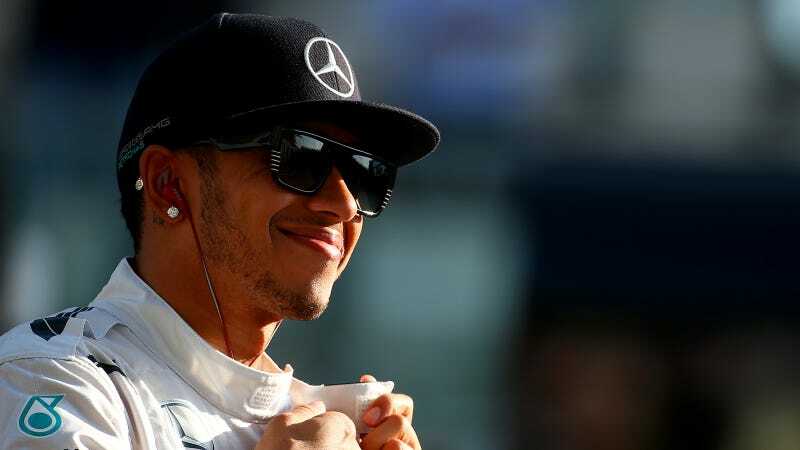 As long as Hamilton finished at all, he would be sure to win the World Driver's Championship. Hamilton, however, wants a win, period: of the race, of the championship, of it all. He took his second pit stop early on lap 32, but he faced stiff competition. Williams switched Felipe Massa onto supersoft tires relatively early, on lap 44. Second-place contender Massa quickly ate away at the gap separating him from Lewis Hamilton on the softer, faster tires. The Red Bulls, who had to start from the pit lane, had climbed up into the mix. Daniel Ricciardo was running in third for a while, only to be passed by the stronger Williams car of Valtteri Bottas. In the last few laps of the race, Rosberg's limping car kept dropping farther and farther in position. Hamilton, knowing his championship was secure, still had to finish the race, but ultimately, wanted to finish with a race win as well. Nico was crushed by this turn of events. You could see it in his eyes through his helmet. His once promising car had failed him, giving Hamilton the championship. Massa narrowed the gap between second and first to 2.9 seconds in the last lap, but ultimately, it wasn't enough. Hamilton took both the race win as well as his second World Driver's Championship. Despite feeling disappointed with his own race, Rosberg was there to congratulate his teammate before Hamilton climbed atop the podium.